MP4 files are usually seen when you download a video from the internet or use a DVD ripping program to save a DVD to your computer. Files like this that only have audio are sometimes saved with the .M4A extension. 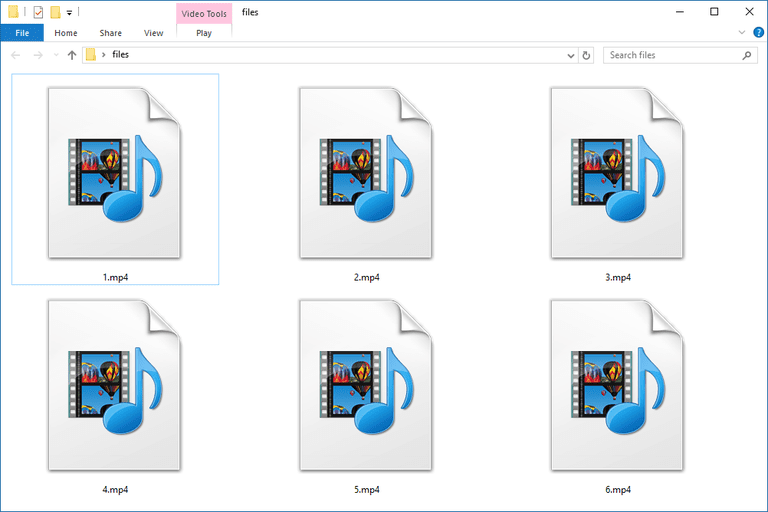 The easiest way to play MP4 files is to double-click on the MP4 and let your computer decide which default application should open the it. Since most people already have Windows Media Player or QuickTime installed, the MP4 should open automatically. However, if no program opens the MP4 file then you probably don't have a program installed that can view and/or edit MP4 files. I recommend installing one of the programs I just mentioned or the free VLC player, which is a fantastic MP4 file player that supports not only this video format, but many others, including audio files. MPlayer is another free MP4 player I like. If you find that your favorite video player doesn't open MP4 files, you may need to install an MPEG-4 codec. An MPEG-4 codec is a small piece of software that allows your computer to recognize MP4 files and have them play properly in whatever player you use. I highly recommend X Codec Pack, a completely free collection of popular codecs that works in Windows 10, Windows 8, Windows 7, Windows Vista, and Windows XP. After installation, you'll be able to play MP4, as well as almost all other popular video formats, in your favorite player. Just watch out for the ads on that XP Codec Pack site - they can look deceivingly like download links! MP4 files are supported by default on many mobile devices too, like Apple's iPad, iPod touch, and iPhone, as well as Android devices. This means you don't need to install an app just to play MP4 videos you receive over text or email, or open in web pages. A number of programs also allow editing of MP4 files for free, like VSDC Free Video Editor and Lightworks. More examples of MP4 editors include MAGIX Movie Edit Pro, Adobe Premiere Pro, and Pinnacle Studio. One of the easiest programs to use for MP4 conversions is Freemake Video Converter. It supports saving MP4 files to formats like MKV, FLV, AVI, 3GP, and others, including converting the MP4 directly to a DVD disc, ISO file, or MP3 (for audio only). Another option is to use Zamzar or OnlineVideoConverter to convert MP4 to WEBM, MPG, AC3, OGG, FLAC, MOV, and other formats. Unlike an MP4 file converting program, these are websites, which means even though you don't have to install any sort of program to use them, you do have to upload the MP4 to the site and then download the converted file before you can use it. Zamzar also supports MP4 to GIF conversions to convert a video file to an animated image. If the video exists online, a different converter like Imgur's Video to GIF or the ezgif.com website, might be a better option. Remember that because these converters work online, in your browser, it might take a while for the video to upload since most videos are fairly large in size. What's more is that after the video is converted, you have to download it again to get it back on your computer, which in itself might not be a quick process either. If none of these options seem to be working for you, there are other Free Video Converter Programs and Online Services that may work out better, some of which also support free MP4 editing like clipping and cropping.